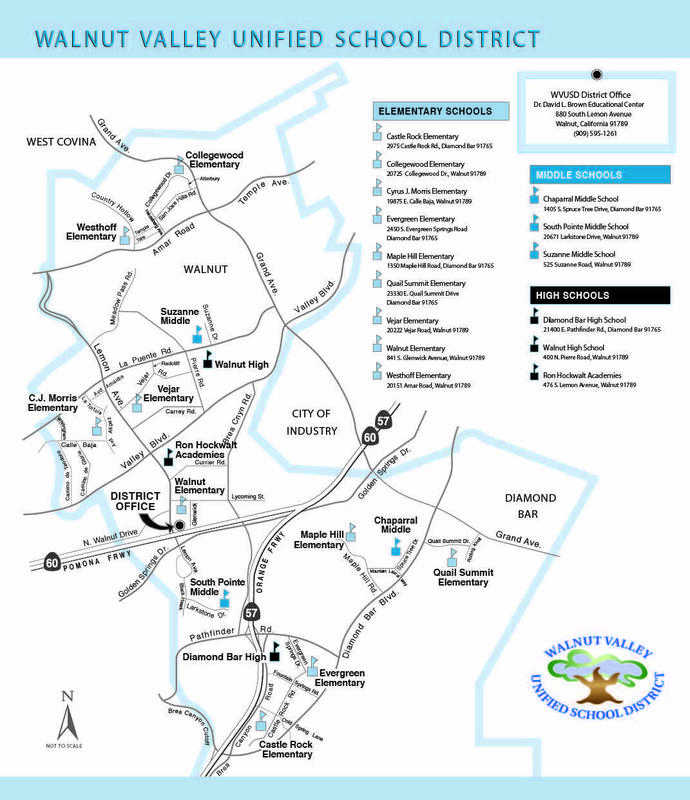 The Walnut Valley Unified School District is located in Los Angeles County in the southeast corner of the San Gabriel Valley and encompasses portions of the cities of Walnut, Diamond Bar and West Covina. The District enjoys panoramic views of the San Gabriel Mountains and the San Bernardino peaks in the distant east. Respected for its quality education, the District serves a suburban population composed of families with a broad mix of cultural heritage and occupations. Interest and support by the parents and community has long been outstanding. Walnut Valley USD serves over 14,000 students at its fifteen schools; nine elementary, three middle schools, two high schools, one continuation high school and an alternative education program. The District employs almost 760 teachers and administrators (certificated) and 600 support (classified) staff members. The District is proud of its employees who ensure a quality learning experience for all children. We are an equal opportunity employer and educator who fully and actively supports equal access for all people regardless of race, color, religion, gender, sexual orientation, age, national origin or disability.